Painted Sieh ("Sea" ) Horses is dedicated to producing the type of performance horses that the whole family can compete with. The bloodlines incorporate some of the best names from APHA and AQHA performance, racing and cattle horses. My homozygous APHA stallion, Exclusive Patch, produces colorful babies with athleticism and brains to match! Give me a call today to purchase your family's next best friend and competitor! 1. Temperament: horses are bred to be sound in both mind and body! 2. Conformation: horses are correct from the ground up! 3. Athleticism: pretty is as pretty does and these do it ALL! 4. Bloodlines: combining the best of running, performance and cattle pedigrees to produce versatile, family performance horses! 5. 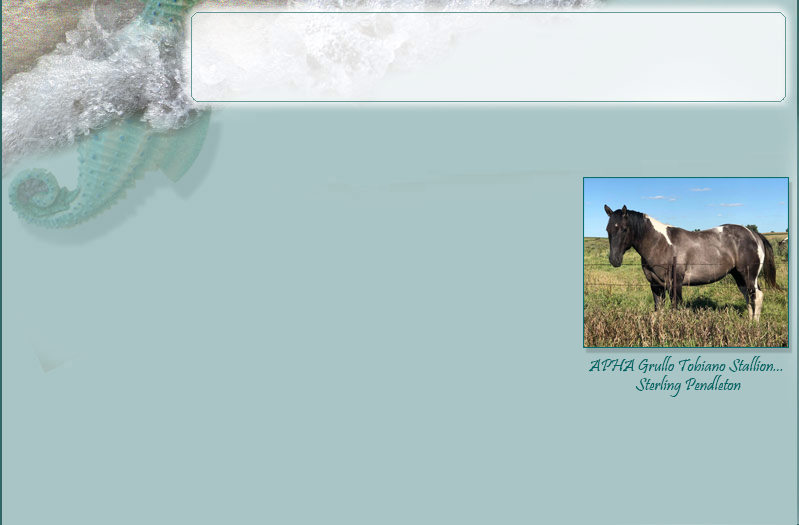 Color: the homozygous stallion, Exclusive Patch produces LOUD babies EVERY TIME! 6. Care: these horses receive sound nutrition and are raised in large, open pastures to help grow strong bones and sound minds! 7. Customer Service: I offer credit card arrangements AND will help you arrange for shipping your new horse! See our 2016 foals for sale! If you find a horse that you would like to know more about? Contact Us!